"How do I live a better life?" "How do I discover what's really inside me?" "I feel like I have more to give the world. Where do I look?" "I know there is an inner treasure hidden deep within me." Everyone, including you, has treasure deep within. What you do with this treasure can shape your level of happiness and the direction you go in life. Some people use their treasure wisely. They make a living, but they also bring great joy to themselves and to others. They get a lot back for the amount of time and the level of talent they give out. You can have this kind of reward too. If you know what your inner treasure is, share it with the world. If you don't know what that treasure is yet, you can discover it through some questioning and soul searching. Seek to find out what's really in your heart and mind. Your spirit will tell you what you really should be focusing on. Listen to that still, small voice inside of you. There are many other ways in which you can share your treasure with the world. You know you're using your treasure in the right way when you feel true joy and fulfillment. How can you share your inner treasure with the world? Not sure what your inner treasure is? That's perfectly OK.
What kinds of world problems make you sad or angry? Ask yourself these kinds of questions. Give yourself permission to give completely honest answers without holding back. When you answer these questions with a pure heart, you'll discover where you should be devoting your time, energy, and expertise. Take those things that mean the most to you, and see how you can affect them. Do you write? Play an instrument? Sing or dance? Are you a good teacher, motivator, or public speaker? Can you help others reach their goals? Everyone is good at something! Just spend some time to figure out what your unique talents and gifts are. What is your deep down inner treasure? What makes you tick? When you find that talent and couple it with something, such as a cause, an event, or a person that really matters to you, you can be unstoppable. You'll be able to use your treasures and talents for the good of many. As you help others, you also help yourself. Some experimenting may be necessary to discover your treasure, and that's okay. Everyone goes through times of uncertainty. If the uncertainty leads you to search within yourself for the answers, it has served its purpose. What life lessons have you learned in your times of uncertainty? The process of exploring your heart's desires and discovering what's important to you will bring more meaning and fulfillment to your life than you can possibly imagine. Stop sitting around and start to enjoy those benefits today! 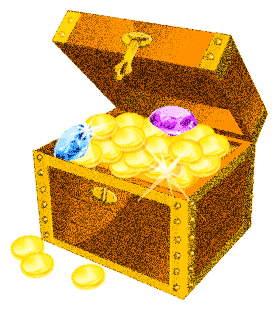 Find & develop your inner treasure and solve your problem, click here.